A Glad Diary: What's Trending at Yoins? Hey there, how's your fashion game going on this summer? 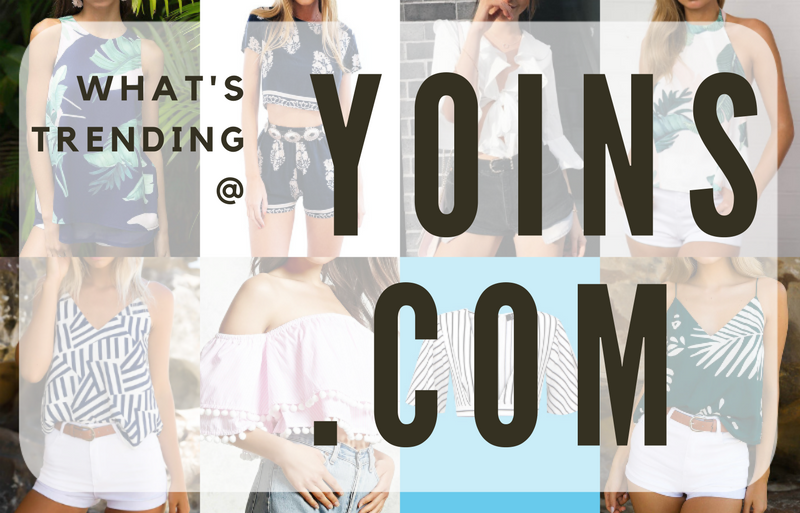 If you're someone constantly looking to update your wardrobe, you might want to consider checking out this online shop called Yoins. This online shop offers cute, trendy and up-to-date pieces for your closet. Check out their Women's Fashion Vest Online to find out what I'm talking about. The good part is, they're a budget friendly shop. Which means, you can to buy as many as your purse allows. Yay! White tops, bold prints, stripes and Fashion Women's Cute Crop Tops are trending this summer. I've seen them almost every day on social media and blogs. I'm sure you do as well. I'm especially drawn to the tropical prints trend. I find this style to be bold, playful and fun. I think this fashion style reflects the bubbly and daring personality in every girl. What trend are you drawn to this summer? Here, I've curated some of my favorite summer pieces from the shop. You can find it below. If I could just choose one from the picks, it would be this High Neck Leaf Print Chiffon Cami top in Navy. This is because I'm a little bit conservative. Haha! The top is simple and wearable for the everyday grind. Pair it with white jeans and platform wedges and you're ready to seize the day. How about you? What's your favorite crop top or cami from the picks? How would you wear it? I'd love to know your choice too and how you'd style it in the comment section below. 'Til then!